It’s been a while since I’ve done a “how to” post even though they always end up being some of the most viewed on the site. This week I needed to make quite a few scented pillow inserts for our scented hooked pillows and thought I would just document this very simple process and share it with you. As you can see in the photo above, you will need: cotton muslin, fabric shears, a ruler, or better, quilting squares, straight pins, a sewing machine, and whatever scented deliciousness you’re stuffing your inserts with. Please see the end of this post for suggestions on where to buy some of the ingredients. Before we go further, one of the stuffing materials I use often is buckwheat seeds. Buckwheat seeds are nice because they hold heat and cold better than buckwheat hulls, and are therefore great for microwaving or freezing once inside your finished pillow. A heated or cooled buckwheat seed pillow can be used for aches, pains, headaches, or just soothing, especially when scented. I scent mine using essential oils, or as you can see in the mix in the photo, I also use actual plant flowers or leaves, in this case lavender flowers. Please DO let your buckwheat seeds sit at least overnight to completely absorb the essential oils. This way you will never end up with oil spots on your inserts. A lot of people like to save money by using rice, but I do not think it does quite as well thermally, and I also think rice is sometimes vulnerable to having a latent infestation with critters/moths. Buckwheat seeds also, vs just the hulls, have a heft to them that I think is soothing when the pillow is in use. The 6″ x 8″ buckwheat seed inserts shown here today are one pound each. A second note: Yes, the table in my work studio is an old air hockey table (although it still works for air hockey) because think about it. It’s white (perfect for tracing patterns), it has little holes all over it that look like and serve as a grid, and it’s huge. I hope to look at this blog post five or ten years from now after I have built a beautiful separate building for all of my business and homesteading needs, replete with a custom made table, and have a bit of nostalgia. For now, though, this is what it is! Okay. Clearly you’ll want to measure out your pillows on the muslin. I find that a quilting square and an art pencil are perfect for this. The square keeps my lines nice and neat and, well, square to one another and the art pencil makes a very faint line which is less likely to show on the finished insert. Yes, we turn them inside out after sewing, and yes, the insert is hidden inside our hooked pillows, but I just like to keep even the hidden parts of my work as clean as possible. I measure the pillows so that the fold is along the longest side, if they are rectangular. I also leave an extra inch for the seam. So, in the case of my inserts for a 6″ x 8″ pillow, I measure the muslin 13″ x 9″ (12″ x 8″ with the extra inch for stitching). 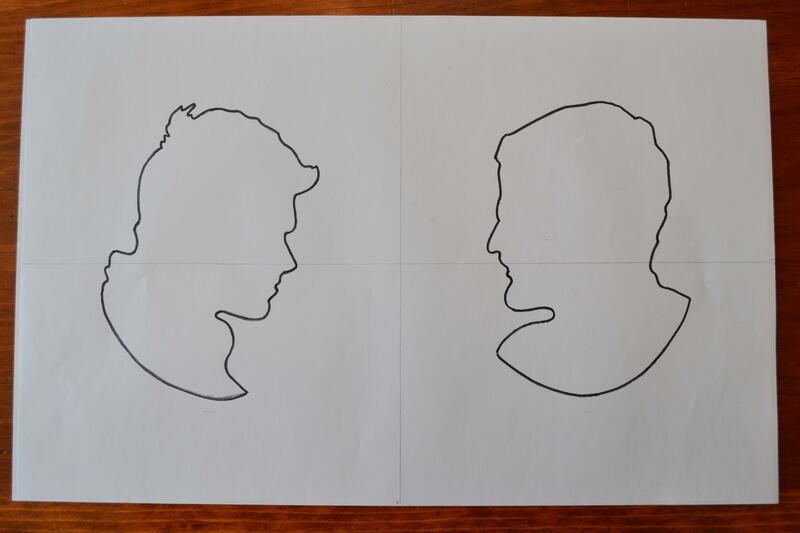 If I have more than one insert to make, I draw them side by side. A note about making these in advance: I don’t. I want the scented materials in my pillows to be as fresh and fragrant as possible, so the inserts are made very shortly before the finished hooked pillow is shipped. 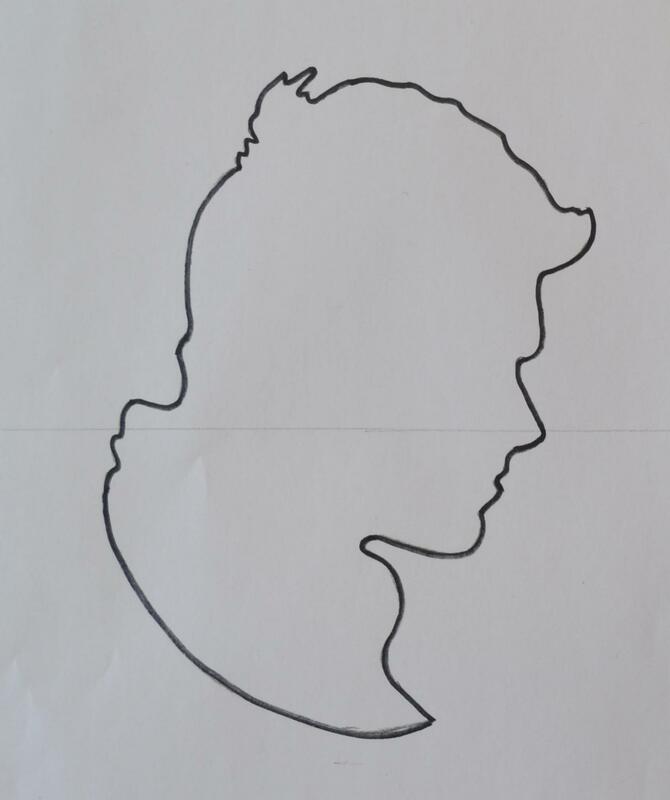 Here is what they look like prior to cutting out. Just cut along the lines you have carefully measured, and then you’ll be ready to fold, pin, and sew. After sewing, pop the pillow right-side out, like so! Now it’s time to stuff! I use a measuring cup and a funnel to stuff the insert when I am working with buckwheat seeds. Also, when working with buckwheat seeds, I pin TWICE. I pin once down at the fill line to keep the seeds from wandering up and out while I’m sewing the insert shut, and I pin again closer to the top to keep the ends aligned while sewing. You can see my finger imprints on the finished pillow where I pressed down on it. This demonstrates how nice and moldable to your body buckwheat seed pillows are when you are using them heated or chilled. On the other hand, this IS Maine after all, and sometimes I’m using Maine balsam fir as a fragrant stuffing for our pillow inserts. The process is essentially the same, except with balsam I tend to stuff the pillows more firmly, as they are not meant for heating or chilling or conforming in any way. I fill them much closer to the top of the pillow, pin ONCE this time, and sew them shut. That’s it! As you can see, this is not hard to do. However, if you would like inserts pre-made for you, you can buy the balsam inserts on our Etsy shop, and I will be adding buckwheat varieties as well. I hope you have found this helpful and will give a try to adding scented inserts to your own hooked pillows! 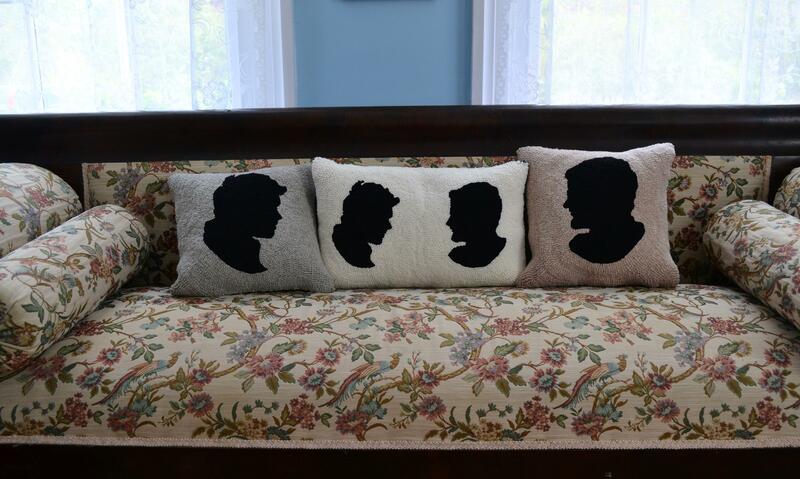 New Silhouette Pillows Exclusively Available Through Beekman 1802! 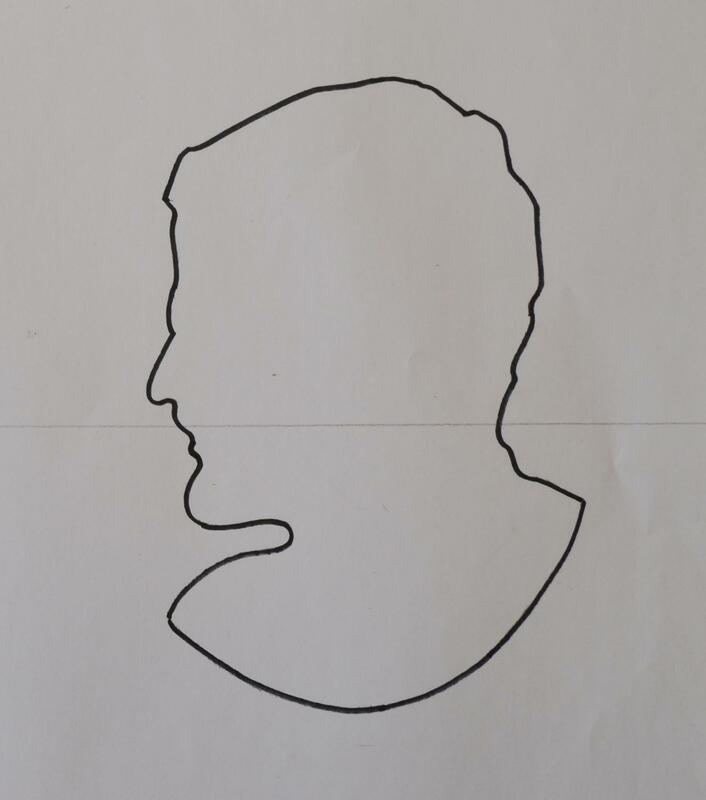 Have you ever been in an antique home and seen an 18th or 19th century silhouette portrait? Or maybe when you were growing up your parents had one made of you? Well here’s a modern twist on a classic idea, and it’s a whole lot cozier than the paper variety silhouettes you may have on your walls! You may recognize the handsome silhouettes above as those of Brent Ridge and Josh Kilmer-Purcell, the Fabulous Beekman Boys and founders of Beekman 1802. Jen and I feel very honored to be making these pillows in celebration of Josh and Brent’s second wedding anniversary, which, by tradition, is the cotton anniversary. These pillows are available in your image or images with a variety of colors of wool backs or backed with 100% organic cotton fabric. Additionally, the pillows are stuffed with 100% organic cotton batting in a cotton muslin case. The process of making these is extremely personalized. Once your order is placed, Beth will be in touch to arrange for you to provide the photographs that will be the basis of your design artwork, and to talk about the colors you would like for your hooked background and pillow backing. Once your artwork is sketched out, you will have the opportunity to approve it before the hooking begins. Once approved, Beth or Jen will hand hook and sew your pillow. This is what the artwork looks like when submitted for customer approval. These would make wonderful wedding or anniversary gifts, or keepsakes of growing children. You may order exclusively through Beekman 1802 by clicking HERE. We’d love to work on your modern heirloom!